Yatra.com is one of the biggest travel related services provider in India. We conducted an in-depth design research of their retail outlets called, Yatra Holiday Lounge, to explore possibilities to improve customer experience through design. Yatra.com has taken the service of travel planning and booking one step further form itâ€™s competitors and come up with unique Holiday Lounges. At present there are 11 Yatra Holiday Lounges in the major cities in India. 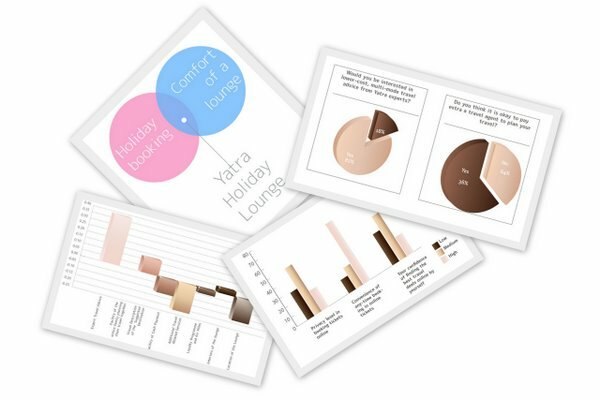 No Formulae carried out an in-depth design research for Yatra Holiday Lounge which was aimed toÂ bring out a lucid picture of the service model, the customers experience and expectation from the Lounge and the outlook and experiences of the service providers in the Lounge (i.e. the Yatra team). To get a clear view from all the perspectives in the picture, No Formulae employed a mix of quantitative and unconventional qualitative methods of research. The research was directed both at the Yatra Holiday Lounge customers and the Yatra Holiday Lounge employees. The methods involved body-storming, in-depth interviews, visual ethnography, questionnaires, maximum difference scaling , customer journey mapping, emotional mapping, touch-point analysis, metaphor elicitation, etc. The customers feel the lounge experience is different, but in Gujarat they look more for value for money and trusted service. The customer is often looking for different options and destinations. Yatra is able to provide holiday packages to a determined number of places and thus for a not so popular destination he is forced to approach another travel agency. For individual and business travel, people book tickets online. But for holiday packages they prefer booking it in person, especially for foreign destinations. Other travel agencies can deliver tickets at home, book tickets on the phone and accept late cheques which Yatra Holiday Lounge does not practice. Certain customers revealed disappointment with the Yatra Call center. The Holiday Lounge projects an aspirational experience, but for the customers trusted advice takes the first place. The lounge is aimed at creating a unique and comfortable experience. The unique intent however gets diluted by several factors, like the customer feeling lost inside the lounge, uncomfortable seats for the customer, limited knowledge of destinations, unexciting presentation of service evidence i.e. tickets & vouchers, etc. The hurdles in the experience can be fine-tuned easily to create a better experience. Human to human interaction of the Yatra Holiday Lounge can be improved at various stages like when the customer enters, greeting the customer, expert travel advice. While interacting with him, a travel advisor can improve the experience by giving a story like narration and becoming a part of the trip themselves. Engaging the customerâ€™s interest and imagination can be done when one goes beyond travel quotes and data. It is required that the customer be given a feel of the journey he is about to embark on. He should go back with fantasies and dreams of the travel he is investing it. An engaging & narrative story not only increases the chances of the deal conversion but also builds towards a delightful customer experience. Expert Travel Advice – The most important thing that the customer seeks from the Lounge is a high degree of expertise in planning their travel. He expects proficiency in domestic and international flight options, stay options, expert advice on food and sight-seeing. 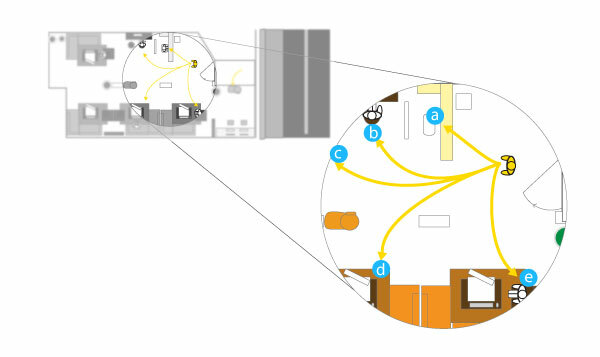 Visual Description of suggested travel plan â€“ It is often said that a picture is worth a thousand words. Customers rated this parameter as the second most desirable one which would make a delightful lounge experience. They said that the visual description of the travel package and destination being suggested by the Yatra Travel executive would help better in making their choice. Ergonomic Seating â€“ They layout of the booth, addition of cushions or changing the couches can bring a better lounge like experience where the customer can relax and sit. Currently the customer is forced to sit in a stressful posture which makes the decision process also stressful. Interiors of the Lounge – To generate a lounge experience which delights all the senses the various elements of the lounge should be carefully planned and be in sync. The interiors, lighting, graphics, music, smell create the mood and experience. To understand customer behaviour using design thinking, in the offline ticketing offices of Yatra built around the concept of a lounge. 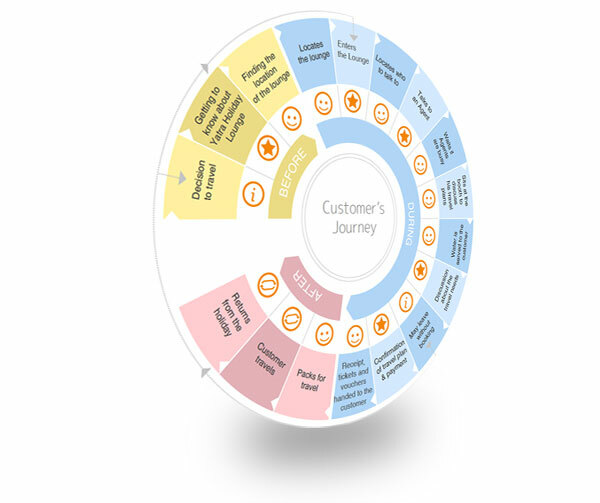 Design a service model from the research insights to enhance customer experience and leave a lasting positive impression on the customer. 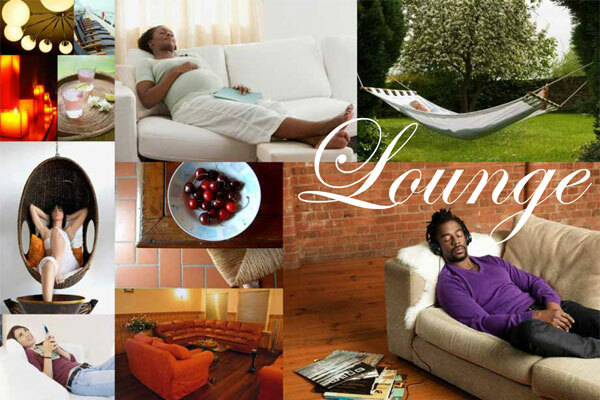 The key to a lounge experience, along with the ambience, is the human to human interaction. A customer must feel pampered, safe and relaxed while making a holiday booking and be able to trust the personnel he is dealing with.